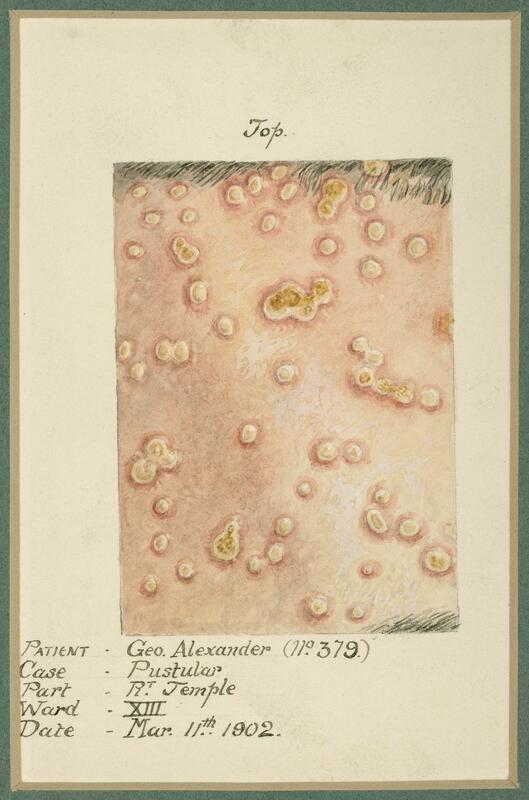 Collection of 15 watercolour illustrations of pox lesions in human skin, mainly smallpox, one chickenpox, representing various stages of disease in patients in Glasgow 1901-1902, annotated, used for ward teaching by the University of Glasgow. 9 x 6.5 cm in mounts 20.5 x 15.5 cm. 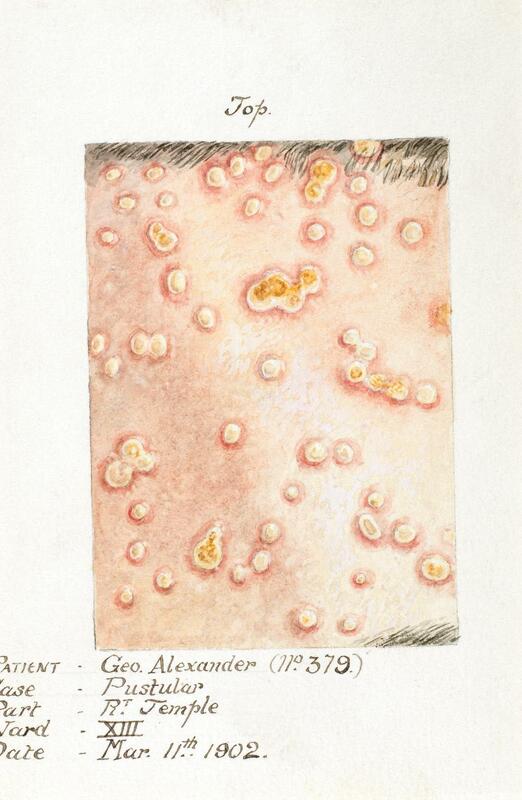 From a collection of 15 watercolour illustrations of pox lesions in human skin, consisting mostly of smallpox with the exception of one chickenpox. 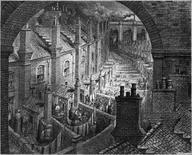 They were used for ward teaching by the University of Glasgow to represent various stages of disease in patients. Annotated with the the patient's name (George Alexander), case (pustular), part of body affected (right temple), date and sometimes ward (13).